Is there a better alternative to easyHDR? Is easyHDR really the best app in Image Editing category? Will easyHDR work good on macOS 10.13.4? 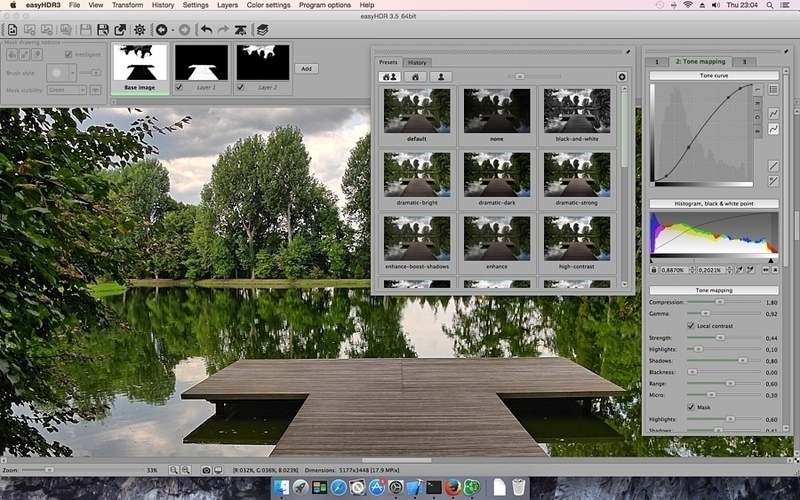 With easyHDR, get your digital photos closer to what you've seen with your own eyes. Say goodbye to unwanted over- and underexposures. 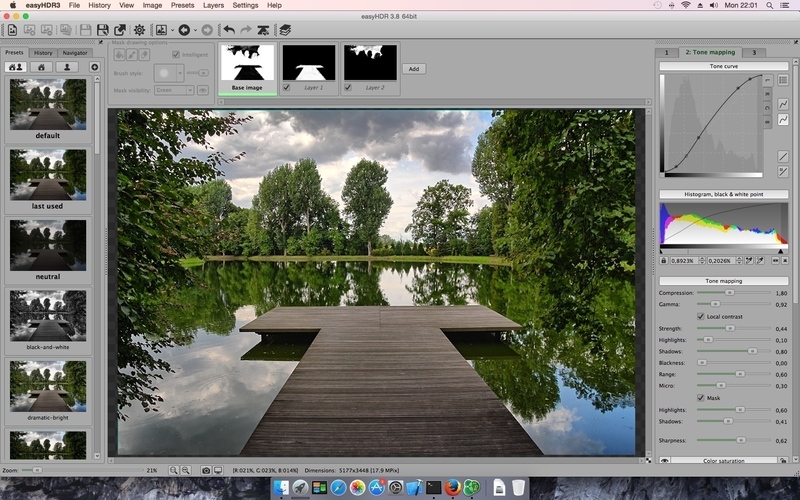 EasyHDR is an image-processing application that produces and tone maps High Dynamic Range images. You will get neat results even if the photos are taken in very difficult lighting conditions. 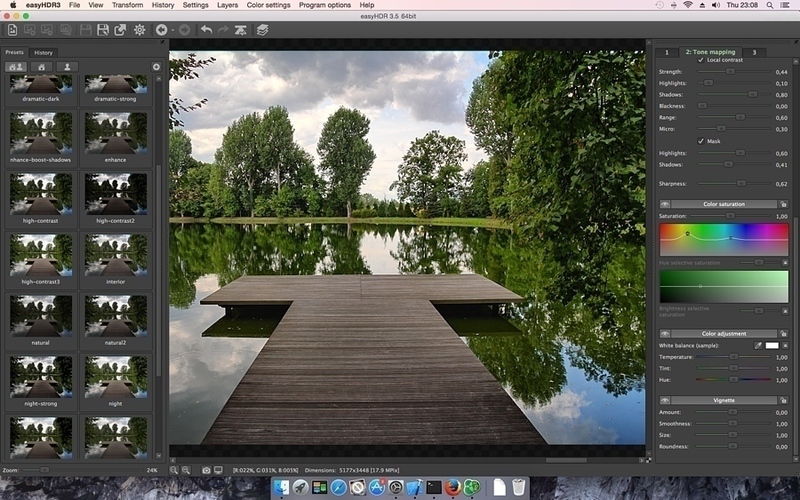 An HDR image is produced out of a sequence of photos taken with different exposure settings. It has to be tone mapped, so it can be displayed on a computer screen or printed. If the photos are taken hand-held (without a tripod) the photo alignment tool (automatic as well as manual) can be used. It compensates even for perspective misalignment. Manual and automatic ghost removal allows fixing problems with moving people, cars, trees, etc. You get maximum control on the tone-mapping process by having a live preview of a photo at full resolution. There is also a plug-in allowing integration with Adobe Lightroom 4 and later. If you have hundreds of photos to process, you'll also find batch processing very useful. Just create a task list, start processing, and wait for the results.